Sam Mitchell designed American colonial farmhouse w/European flair. Extensive use of stone and granite reflects old-world charm. Quality construction and innovative design. Stunning Brazilian Cherry Floors throughout. Handcrafted Siematic Kitchen with gorgeous stonework, center island and custom fireplace. The Eat-In Kitchen is flanked by a sunny patio on one side and a romantic courtyard with fountain on the other. Completing this space is an incredible large Pantry, or "Back Kitchen" with Laundry, Hacker cabinets, Wine Cellar and side entrance/mud room. Formal Dining Room with Porch overlooks lawn and stone walls. 2 bedrooms/offices complete this level. Upstairs has the formal Living Room with a custom fireplace, mantel and built-ins. The MBR Suite and 2 additional bedrooms are on this floor. Original part of the house was built in 1880 and is preserved in the entry foyer, powder room and upstairs antique bedroom with pretty painted floors. Walk-Out Basement is perfect for Family Room/Yoga Studio - you decide! 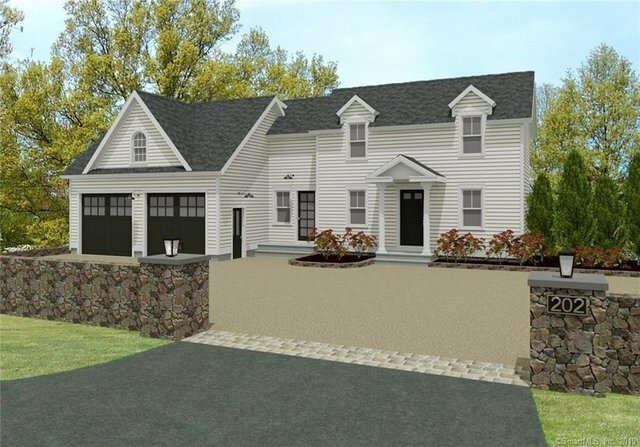 This home is highly energy efficient per Eversource tracking and boasts interior sound proof insulation, whole house wired ethernet, Hydro-Air Heat w/air purification system, Indirect water heater and Ecobee3 thermostats. The property has an approved variance for a 2-car garage. This location is convenient to Town, Schools and Transportation and offers tremendous potential for expansion with a 6 bedroom septic!